I have a few nail polish brands which I really love wearing. I love the OPI, Sally Hansen and Revlon. I haven’t tried Essie yet but that’ll in my wishlist. The Sally Hansen nail polish I wore usually stays for about a week and I’m happy with it. 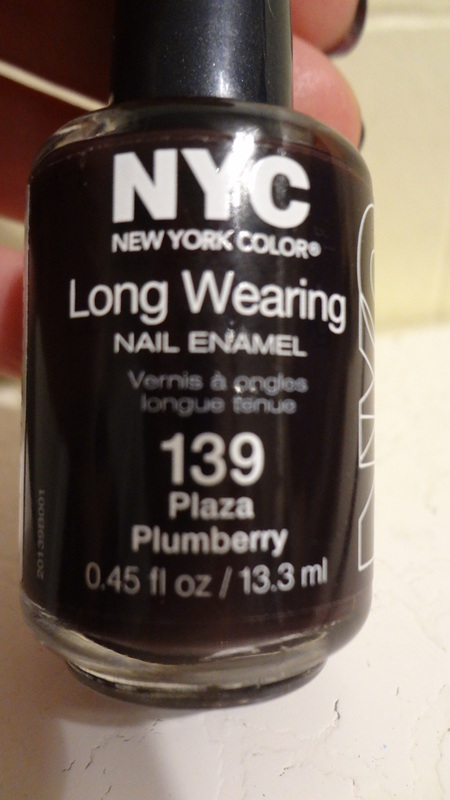 So, I’m today I’m sharing and doing a review on these NYC long wearing nail polish. The color I’m wearing is of darker shade which I don’t usually wear them except for special function tonight. I painted my nail in the morning with Plaza Plumberry. I applied the first coating and I find that the formula was a little watery and very thin. So, a few layers are the only option if wearing this brand. It takes about 2-4 minutes for all the polish to dry before I can apply the second coat. Usually, I did my nail polish without top coat. So, I apply the second coat and then continue to do my routine and but mid-day, I saw some chippings and I have to take them off and try the next color, the Wine Bar. Well, it’s a low range price nail enamel that also claims to be long wearing. 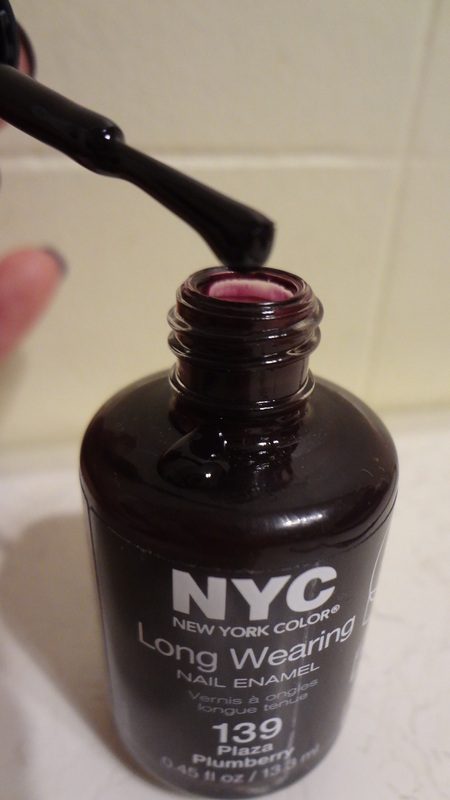 Well, I have tried it and honestly, I don’t think this NYC nail enamel works on me. The finishing look is not smooth up closed. I put them on in mid-day after the Plaza Plumberry decided to chip on me. I had the same experience with Wine Bar and that’s the last straw I had with NYC nail enamel. I’m disappointed with the quality. Although, I do like the colors of both but obviously not the formula which I find them to be watery, long waiting time to re-apply. Anyways, this is just my opinion and I just wanted to share them with you. It might work well on you but definitely not on me. NYC has a nice fun selection of colors but unfortunately this nail enamel just didn’t work on me. I wished that they would come out with a better formula like much better consistency than a loose running formula and keep the colors coming. 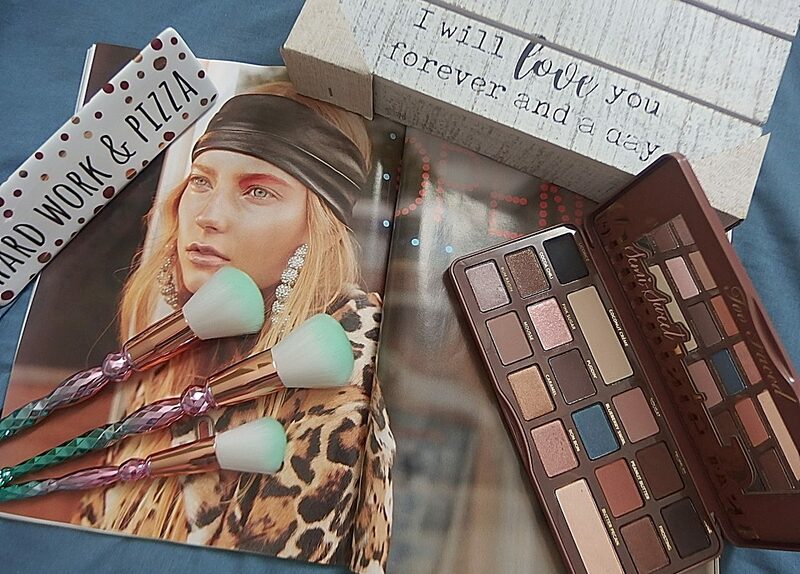 Will I repurchased? The answer is NO. Have you tried any nail polish that doesn’t meet your expectations? Leave comment below. I love to hear from you. Previous postWordless Wednesday| A Beautiful Day! Next postInstain Blush by the Balm – My First Impression!